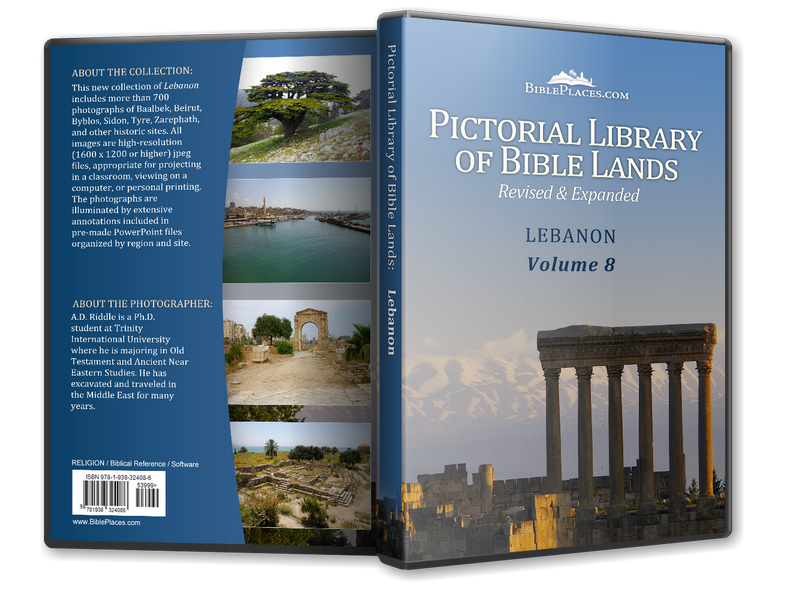 Baalbek is the site of Roman temples located in the Beqa plain, situated near the watershed between the Litani River which drains to the south and the Orontes River which drains to the north. This was an earlier cult center for deities which were later identified by the Romans with Jupiter, Mercury, and Venus. The Roman temples are oriented approximately on an east-west axis with the entrances facing the east. Six original columns of the Temple of Jupiter are still standing with their entablature. They are 65 feet (20 m) tall and 8.2 feet (2.5 m) in diameter. In the 18th century, there were reports of nine columns that were standing, but the earthquake in 1759 toppled three leaving the six that are seen today. 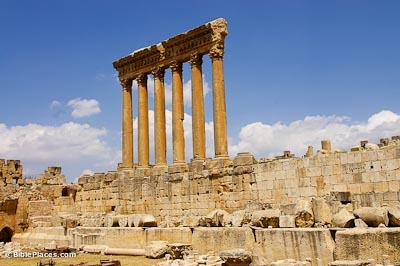 The Temple of Bacchus was built in the 2nd century AD by the Roman emperor Antoninus Pius, but it was still incomplete when Constantine the Great closed the temples at Baalbek. The Bacchus Temple is the best-preserved Roman temple in the entire Middle East. A Roman quarry is located about a half-mile (1 km) south of the temples. 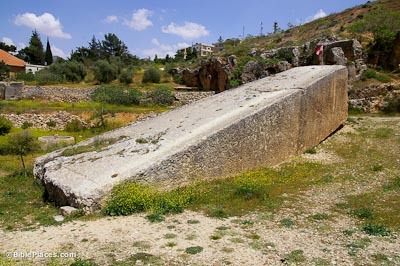 A massive stone, known locally as Hajjar el-Hibla (“Stone of the Pregnant Woman”), remains in the quarry still attached to bedrock. It is larger than the stones used in the construction of the Temple of Jupiter. It measures 65.5 feet (20 m) in length, 13 feet (4 m) in width, and 13 feet (4 m) in height, and weighs over 1,000 tons. Lebanon, Baalbek (Deutsches Archäologisches Institut) Description of the archaeological remains and current excavations and studies conducted by the German Archaeological Institute. 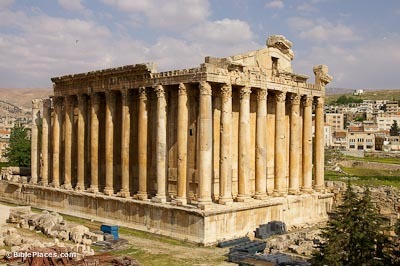 Baalbek (LebanonEguide.com) Provides an overview of Baalbek’s history and links to descriptions of sites in Baalbek. 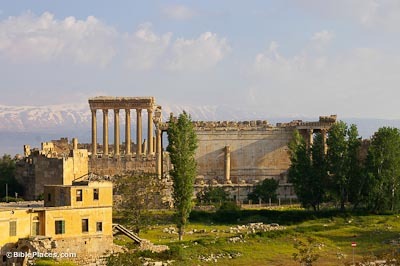 Baalbek (Association of Travel & Tourist Agents in Lebanon) Describes the temples of Baalbek.